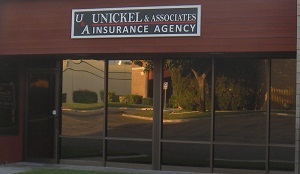 Unickel & Associates is a full service insurance agency that has been providing insurance products and services to business owners since 1948. We have built our business on long term relationships with every client by protecting their businesses and assets, creating peace of mind. Utilizing our extensive network of insurance carriers and strong relationships with underwriters, as your broker, we will act on your behalf to ensure you receive the most competitive terms and coverages each and every year. We represent a large array of the finest A rated insurance carriers that offer all lines of coverage. Our seasoned producers are well trained to examine your policy, discuss your options, and place each risk with a program that best fits your needs. Our experienced customer service staff is knowledgeable in marketing, underwriting, and claims handling. Our insurance team is fully prepared to assist you with all your requests and answer any of your questions. At Unickel & Associates Insurance Agency we work hard to secure your business and build a long -term relationship by anticipating, identifying, and responding to your needs. It is our mission to protect your business, and be a resource to help you fully understand your exposures. We pledge to honor our commitments to you – “our clients” – by holding ourselves to the highest standards.